You already know that a VPN is a method which links two locations like they are on a local private network. There are many reasons why someone would try to setup a VPN connection. 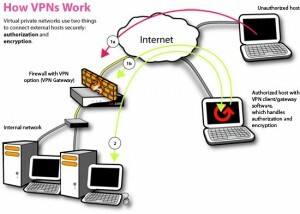 Usually, people like to setup VPN connection to secure their internet connection. A tunnel is basically a link between two locations through some other material. You can take the example of a tunnel that goes under a mountain. In this case, we are assuming the mountain as the internet, so the VPN tunnel is a direct shortcut through the internet. Usually, the definition of tunnel does not include encryption, but in the case of VPN tunneling, we are creating these tunnels for adding some encryptions to them. For example if you have a branch office based on a regular internet connection and let us consider that you want to connect to a server somewhere else at your main office and obviously the data you want to transfer is sensitive. So, you will require some encryption on that data while transferring it over the internet, this is where you will require a VPN tunnel. Why Will One Want VPN Tunnel? There are many reasons why one would want to set up a VPN tunnel. Most of the people usually use a VPN tunnel to encrypt their TCP/IP connection from an application to an outside server. There are several applications based on client/server protocol which require connecting to a database server to access their data. So, if you use a VPN tunnel, it will make the connection easier for the end user as well as secure the communications. How To Set Up A VPN Tunnel? You can easily find tutorials on how to tunnel web traffic with SSH Secure Shell but those tutorials are for forwarding all traffic in a web browser, which is a very tough and complicated process. Here we are only going to use a local port forward to create a simple tunnel between systems. Let’s take the example that we are going to forward local port 5555 to remote port 80, so, we will be able to securely access a web application located on a remote machine. First of all you have to download Putty and run the exe file. Then fill in the IP and other access information for SSH access. After that select Connection then SSH and then Tunnels menu. Here we are going to configure the SSH tunnels. Now enter the port information and other settings. Now after connecting, Putty will open a screen which will show the connection to the remote location. So, now your tunnel is ready for use. Now you can open a web browser or whatever the application you configured to localhost and forward the port to your web server. At this time, you are not running the web server locally and both machines are on different networks but through VPN tunnel it will show the remote server just like you are running it on your local machine. Now you can enjoy this unbeatable tool for you online protection. There are a number of VPN service providers that are providing services around the world. All of these companies claim to have high quality services but the truth is that not many companies have the extensive network that can make your VPN connection really fast and secure. However, to save our readers from troubles of looking any more, we have made a list of Top 5 VPN Service Provider companies that provide the most amazing services at the most affordable costs. Previous post: VyprVPN App is now out of Beta Testing!